In the case of a mortgage amortization, the borrowed mortgage as a whole or part thereof is repaid at regular, often quarterly or annual, intervals and amounts. In contrast to the so-called first mortgage (mortgage loan of up to 65 percent of the value of the property), the second mortgage is subject to an amortization obligation: it must be amortized within 15 years or at the latest by the age of 65. For the amortization of a mortgage, there are two possibilities, both of which have a number of advantages and disadvantages: direct and indirect amortization. 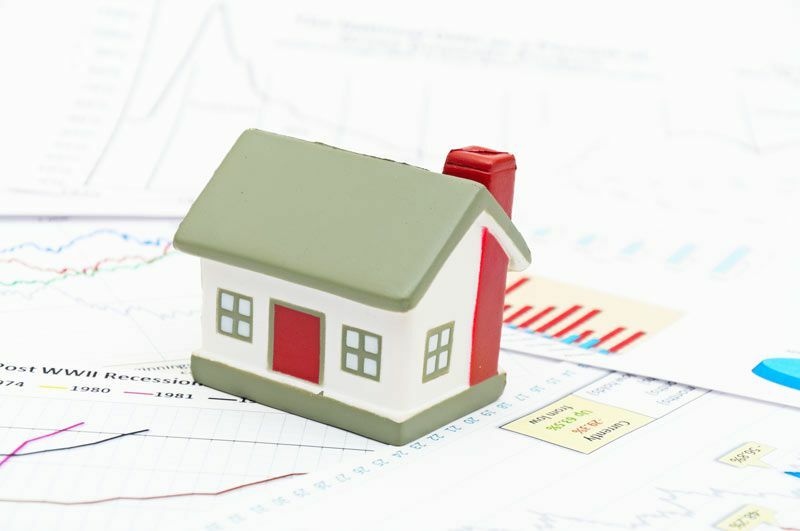 Mortgage borrowers should consider exactly which method is the most sensible solution for them. Learn more about about the topic of amortization in our article "What does amortization mean?". In the case of a direct amortization of the mortgage, a partial amount is repaid at regular intervals, which reduces the amount of the mortgage, while the income tax payable (due to the reduction of the deductible debt interest and mortgage debt) increases. The second mortgage is usually amortized automatically, as the second mortgage has to be amortized within 15 years or until retirement. Learn more by reading our article on direct amortization. Direct or indirect amortization of a mortgage? The best type of amortization for a mortgage depends entirely on the financial situation of the individual. With limited financial resources, which do normally not provide for private pension planning, indirect amortization often pays off. Indirect amortization can be particularly worthwhile when the return on the investment is higher than the mortgage costs. If someone already earns enough money and pays into the pillar 3a for tax reasons, he or she can amortize their mortgage directly and in addition build up pension planning funds. In the case of the indirect variant, the only benefit would arise from the tax savings. Whether this is worthwhile depends above all on the return achieved by the capital invested in pillar 3a. Our amortization calculator might help you decide on the best amortization strategy for you. MoneyPark offers independent advice and arranges individually agreed conditions. Our goal is to provide you with the best mortgage in Switzerland, to create a mortgage strategy and to assist you with amortization plans.